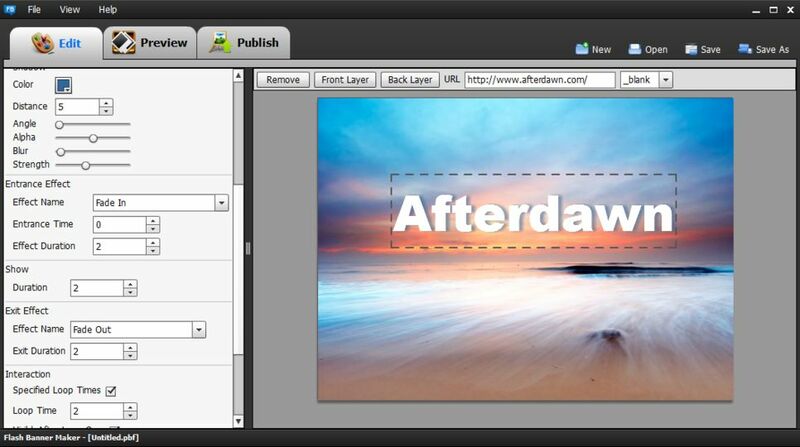 Flash Banner Maker is a free and easy-to-use flash banner generator for Windows. 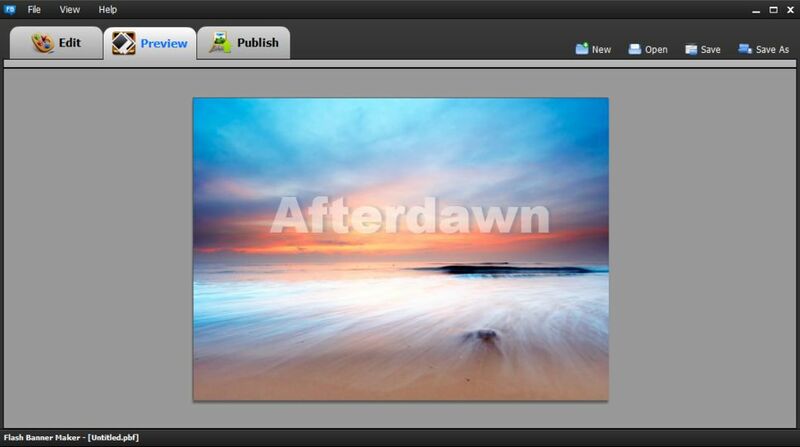 With AnvSoft Flash Banner Maker, you can create animated and professional-looking banners within a few clicks. You can use your own photos and texts, and combine them with dynamic text effects to create professional ad banners or flash intros. As Freeware, however, Flash Banner Maker provides 60+ cool entrance and exit effects for dynamic texts, to help you make a stunning ad or banner. By using a friendly interface, you can generate your flash intro banners within steps. Simply follow the tabs at the top of the program and the left bar to go step-by-step in the banner making. When you have completed, just publish it in SWF and HTML format and add it to your webpage.